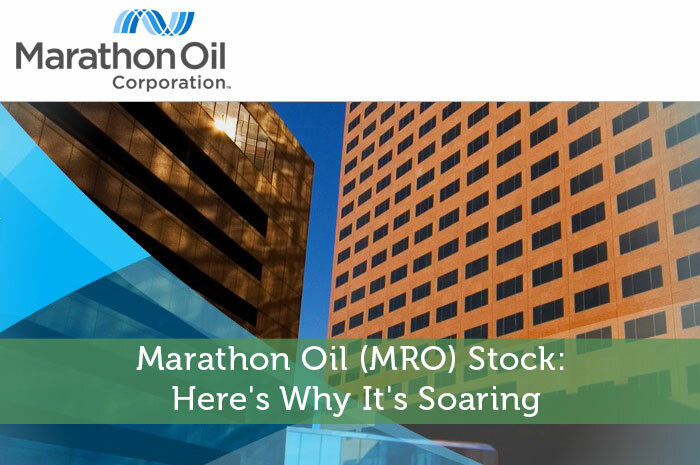 Marathon Oil Corporation is having an incredible time in the market today, and for good reason. Early this morning, we learned more news surrounding the OPEC deal, and it was great news for the oil and energy sector. Below, we’ll talk about what we’re seeing from the stock, the news that broke this morning, and what binary options traders should be watching ahead. As mentioned above, Marathon Oil Corporation is having an incredibly strong day today in the market. At the opening bell, the stock found itself well into the green. Since then, we’ve seen steady movement toward the top. At the moment (11:40), MRO is trading at $18.11 per share after a gain of $3.16 per share or 21.14% thus far today. The truth is that MRO isn’t the only stock in the oil and energy sector that’s climbing today. In fact, if you take a look at the sector, you’ll see that just about every stock in the sector is trading in the green today. Ultimately, there’s a good reason surrounding this movement. The gains that we’re seeing in Marathon Oil and across the oil sector today have to do with the OPEC deal that was announced months ago. When the deal was announced, there were plenty of skeptics, including myself. At the end of the day, the deal didn’t stipulate which countries would agree to produce what amounts of oil. All the deal was is essentially an agreement to agree down the road. So, many believed that the deal would fall apart before it was ever finalized. Big concerns surrounding the deal came from Iraq and Iran. While these countries are some of the world’s largest oil producers, they are also in the midst of heavy geopolitical turmoil, and a cut in oil production means a cut in funding in the short term. So, the concern was that one or both of these countries could block the deal from happening. Nonetheless, today we learned that this isn’t the case. In fact, the deal has been finalized. Today, it was announced that OPEC reached and finalized an agreement that would reduce oil production among OPEC members by around 1 million barrels of oil per day. Of course, this means that supply and demand will likely become better balanced ahead. As a result, the price of oil will likely climb. For MRO and others in the oil sector, this is some much needed good news. While the OPEC deal news is great news for oil, it is by no means the end all be all with the commodity. At the end of the day, the cut will not bring the surplus down completely. Supply still outpaces demand, even at agreed upon OPEC output levels. So, when trading MRO and other oil stocks, keep in mind that there still may be some headwinds as future supply and demand data is released. Where do you think MRO is headed moving forward? Join the discussion in the comments below!